Kumaun Grameen Udyog (KGU) ploughs back all profit into rural development activities in the Kumaon region at the lower foothills of the Himalayas. Through its range of products KGU strives to give quality and a fair deal to both the customer and the rural producer. 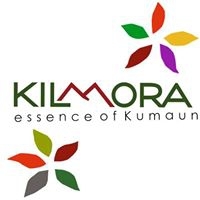 KGU sells various products under its brand name Kilmora. KGU’s products include hand woven and hand knitted textiles, apricot skin care products, organically grown culinary herbs, cereals and spices and fruit processed products such as jams, chutneys and juices. KGU’s products give benefits directly to the community. While its agricultural products are sourced directly from farmers, KGU strives to pay its artisans a fair wage. KGU also helps to maximize the returns to rural producers – buying hand-spun yarn from high altitude sheep-rearers, finishing the textiles locally, and using local expertise in the value-addition processes of apricot kernel. In a region largely dependent on subsistence agriculture and a variable fruit crop, KGU’s outreach gives a meaningful income to the rural families it is involved with. For its weavers, round-the-year income enables them to think of better futures for their children and themselves. For many of the producers taking home supplementary earnings – the knitters or women farmers who have no other means of earning on their own – the cash they receive gives them greater control over their lives. KGU is a section 8 company established by Central Himalayan Rural Action Group (Chirag) in 1996. It operates from its office in Kasiyalekh, Uttarakhand. Since December 2017 Women on Wings and KGU collaborate in a joint mission of creating more employment opportunities for women in the Kumaon hills region.